Investing, Fast and Slow. Part 2: Fast! I don't mean frantic day-trading, chasing micro-trends before they evaporate. Rather, I mean working to create insight into what drives System 1 thinking about investment. If a portion of market-pricing at any one time is the result of System 1 thinking, we should expect it to be the result of impressions and feeling and instincts which eventually surface as the explicit beliefs expressed in the deliberate choices of System 2 thinking. But these impressions and feelings will not be random. To quote Kahneman, System 1 type thinking 'has also learned skills . . . and understanding nuances of ... situations. Some skills . . . are acquired only by specialized experts. Others are widely shared.' The approach I adopt, then, is to work out what generates those impressions and feelings, and the understandings they generate. If my beliefs about the inputs into System 1 investment thinking are correct, it opens the possibility that a careful tracking of those inputs will allow me to understand and anticipate the results of System 1 investment choices. This is what I have done, using as feedstocks the shocks & surprises indexes generated by my unusually broad and detailed tracking of global economic data. The very name 'shocks and surprises' conveys the hint - that these are precisely the data which System 1 type thinking is likely to notice and react to. Yet as Kahneman warns 'the automatic operations of System 1 generate surprisingly complex patterns of ideas,' and the intuitive belief that movements in asset prices will simply mimic the trajectory of shocks & surprises indexes turns out to be wrong. Such a simple interpretation will, alas, lose you money (so DO NOT TRY THIS AT HOME). Nevertheless, further exploration has borne fruit. 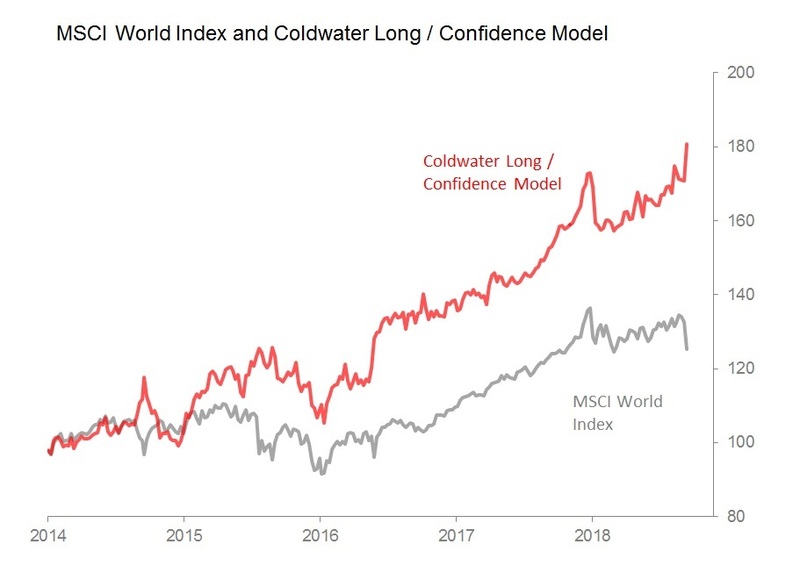 Alternating investment choices among the world's major stockmarkets using models approximating System 1 thinking has allowed a consistent and ultimately rather spectacular outperformance of the MSCI World Index since I started this at the beginning of 2014. Since that period, the MSCI World Index has gained 25.2%, whilst my model has gained 80.7%. The average weekly gain for the MSCI World Index during that period is 0.11%, with a standard deviation of 1.74%; the weekly average for my System 1 model is +0.26%, with a standard deviation of 1.89%. Conclusion? Investing Fast isn't about turning over your portfolio at rapid speed, it's about understanding that System 1 thinking is part of how market prices emerge in the short term.